A very wet morning and early afternoon, but in between the rain there is some lovely autumn sunshine. 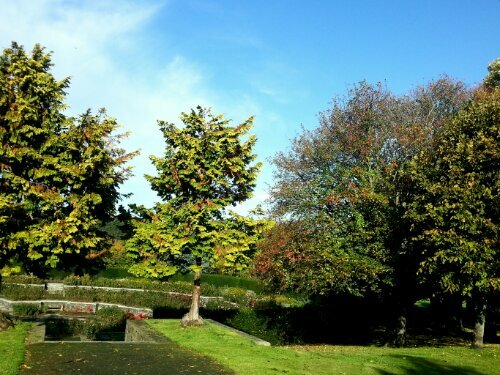 With the lovely colours on the trees the sun and blue sky really help bring the autumn colours alive. This entry was posted in 365 Photo Project 2013, Blog Posts, Image Post and tagged A Man With His Camera, Autumn, Nature, photography, Project 365 Photo, Trees.